If you live in a mobile home in Indiana – either as an owner or a renter – you could lose your home if the property taxes are behind. Personal property taxes must be paid on mobile homes yearly. If you owe as little as $25, your mobile home is at risk of being sold at auction. Demand for payment and notice of sale should be mailed to each taxpayer, but if the title to the mobile home is not in your name, if you don’t have a recorded contract that you are buying it, or if the county does not have your address, you may not get notice. The first sale in the state will happen later this month in Lawrence County. As of August 1, there were still 168 mobile home owners in the county behind on taxes, down from 700 in January. Prosperity Indiana member Indiana Legal Services, Inc. (ILS) has created a brochure to help those living in mobile homes to know their rights and explain how to avoid sale. Prosperity Indiana's Response: "HPI wins court decision; county plans to appeal ruling"
After a 12-year appeal process, the Indiana Board of Tax Review (IBTR) ruled in favor of the nonprofit Housing Partnerships, Inc. (HPI), determining the organization’s ownership of scattered-site housing does qualify for property tax exemption. The county assessor’s office decided to repeal the decision, potentially forcing HPI to sell 11 affordable homes to pay off debt taken out to pay the taxes. Read more about the appeal in this article from The Republic and see Thrive Alliance’s response in their press release. Prosperity Indiana’s Executive Director, Jessica Love, responded to the decision in this letter, pointing out the assessor’s faulty logic that low-cost private landlords will be impaired by the exemptions, citing the Out of Reach data which shows that a minimum wage worker in Indiana must work 86 hours per week to afford a two-bedroom apartment at fair market rate. The 2018 ALICE report updates the cost of basic needs in the Household Survival Budget for each county in Indiana and the number of households earning below the amount needed to afford that budget (the ALICE Threshold) for the period of 2010 to 2016. It also highlights emerging trends that will affect ALICE families in the future. In 2016, 39 percent of Indiana households live below the ALICE Threshold, meaning they could not afford basic needs such as housing, child care, food, transportation, health care, and technology. This is an increase of 10 percent from 2010. The cost of basic household expenses in Indiana increased steadily to $52,836 for a family of four (two adults with one infant and one preschooler) and $19,620 for a single adult — significantly higher than the FPL of $24,300 for a family of four and $11,880 for a single adult. The cost of the family budget increased by 23 percent from 2010 to 2016. Low-wage jobs continued to dominate the landscape in Indiana, with 65 percent of all jobs paying less than $20 per hour. Although unemployment rates fell during this period, wages remained low for many occupations. With more contract work and on-demand jobs, job instability also increased, making it difficult for ALICE workers to meet regular monthly expenses or to save. The Changing American Household — Shifting demographics, including the rise of the millennials, the aging of the baby boomers, and domestic and foreign migration patterns, are having an impact on who is living together in households and where and how people work. These changes, in turn, influence the demand for goods and services, ranging from the location of housing to the provision of caregiving. Market Instability — Within a global economy, economic disruptions, natural disasters, and technological advances in other parts of the world trigger rapid change across U.S. industries and cause shifts in supply and demand. This will increasingly destabilize employment opportunities for ALICE workers. Growing Health Inequality — With technological advances in health care outpacing the ability of many households to afford them, there will be increasing disparities in health according to income. The societal costs of having large numbers of U.S. residents in poor health will also grow. What is payday lending and why are alternatives needed? What is a Community Loan Center and how does it operate? How can you bring a Community Loan Center to your community? To learn more about becoming a CLC partner or how you can be informed of upcoming Network webinars and events, contact Logan Charlesworth, Network Manager. First impressions are a tricky thing. The professional side of me feels like introductions should be formal and I should tell all of you something impressive about myself or spout off my work history. However, that wouldn't be "me" at all. If we were meeting in-person (which if we haven't, we'll need to change that soon), I'd more than likely tell you all about my cat who, over the past couple weeks, has already impacted the way I think about this Network and care about its mission even more than I already did - which is saying a lot. Yes, it sounds strange, but allow me to explain. It's probably important to say that I'm an animal person - being asked whether I'm a cat or dog person is far more stressful than being asked for my opinion on certain political issues. I've been known to nurse injured woodland creatures who wandered onto my front stoop back to health and consider being a called a crazy cat/dog/animal lady a badge of honor. I'd like to think of myself as a modern day Snow White. So, when my senior cat, Banksy, was in visible pain last Wednesday morning, I dashed to the vet without a thought of how much his visit and subsequent treatment would cost. Fortunately, the talented veterinarians were able to diagnose his near-fatal ailment quickly. For nearly three full days, Banksy stayed in the animal hospital under their watchful eyes, charming the staff into giving him more behind-the-ear scratches and belly rubs than they bargained for. Unfortunately, his animal hospital stays resulted in a rather large bill. We're talking three times my monthly rent payment large. Thankfully, I took my mother's advice and have been saving for a rainy day since I landed my first job at age 15, so Banksy's bills were covered. However, after reading about payday loans and the repercussions of loans made at alarmingly high interest rates for days on end during my first week at Prosperity Indiana, I asked the office staff at the animal hospital what options would be available if I were unable to cover his tab. To my surprise, the only option presented to me was a monthly payment plan with a 55 percent interest rate. Fifty-five percent. I know my problems are minuscule in comparison to the issues facing the Hoosiers the Network serves. However, it was a call to action - many do not have a rainy day fund they can pull from when an unexpected (and extremely expensive) life event of any kind hits them. When desperate times arise, sometimes taking the high-interest route seems like the only option, even if it means financial disaster down the road. And that's exactly why the work of the Network is so important and highly personal to me. For those of you who may be wondering, Banksy is back at home and, much to his delight, on a wet food diet for the rest of his days. Doctor's orders. As for me, I come to the Network after years of helping community-based organizations amplify their work, connect to resources, and develop meaningful partnerships to achieve ambitious goals. That is why I am excited to hear and learn from you about ways we can make our state a better, more prosperous place for everyone, even on the rainiest of days. We have exciting, but formidable work ahead and it will take a strong Network to accomplish our goals, so if you want to find out how you can get more involved, reach out! I look forward to working alongside each of you in the days, months, and years ahead. Homeownership rates have increased slightly from the first quarter of 2018, but not for all racial and ethnic groups. Nationally, the homeownership rate increased to 64.3% in the second quarter, up slightly from the rate of 64.2% in the first quarter and from 63.7% one year ago, according to the latest data from the U.S. Census Bureau. This represents an additional 1.8 million homeowners over the past year. In Indiana, the homeownership rate stands at 72.9% this quarter, up from 69.2% last quarter and 72.0% in the second quarter of 2017. Despite these increases, not all racial and ethnic groups have seen a rise in homeownership rates. Nationally, the white American homeownership rate rose to 72.9% in the second quarter, up from 72.4% in the first quarter and 72.2% last year. Black and Hispanic homeownership rates, however, fell in the second quarter. The black homeownership rate stands at 41.6%, down from 42.2% in the first quarter of this year and from 42.3% at this time last year. The Hispanic homeownership rate saw a similar decline, with a rate of 46.6% in the second quarter compared to the first quarter rate of 48.4%. This rate is still up from 45.5% in the second quarter of 2017. Which group is driving the overall homeownership rate up? Millennials. Homeownership rates for those under 35 have risen to 36.5% in the second quarter of 2018, up from 35.3% in the first quarter. This is the highest homeownership rate seen among Millennials in five years. Click here to read the analysis from HousingWire, and here to view the data from the U.S. Census Bureau. Have community development experience? Want to be a Nonprofit Consultant? Prosperity Indiana may have just the opportunity for you to step into a full- or part-time consulting role. We are also hiring for a part-time administrative assistant to support Prosperity Indiana staff with tasks that build the capacity of Prosperity Indiana, its members, and its partners. Click here for the full position description and instructions on how to apply. 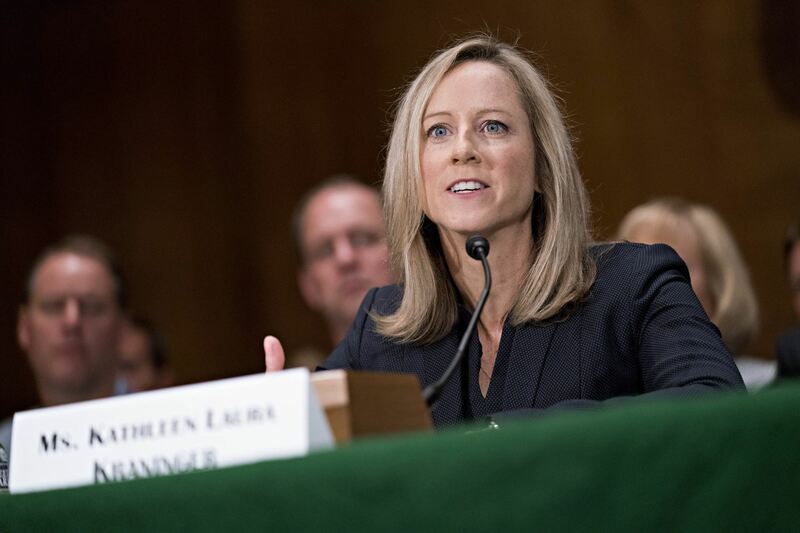 On Thursday, July 19, the Senate Banking Committee held a hearing confirmation hearing for President Trump’s nominee to become the new director of Consumer Financial Protection Bureau (CPFB), Kathy Kraninger. The CFPB is responsible for overseeing consumer protections in the financial sector and has jurisdiction includes banks, credit unions, mortgage servicers, foreclosure relief companies, and debt collectors operating in the U.S. If confirmed by the Senate, Kraninger would hold significant sway over the way those companies manage mortgages, credit cards, payday loans and other financial products they offer to customers. Click here to read our coverage of the hearing. At issue in this hearing is the fundamental disagreement the Administration has with the agency’s underlying constitutionality. The current acting director, Mick Mulvaney, has decried what he considers to be a lack of accountability in the structure of the agency. Kraninger, hand-picked by Mulvaney to take over largely shares his views and promised in the confirmation hearing to continue the more pro-business shift at the agency that started under Mulvaney’s time as Acting Director. If confirmed, Kraninger would serve a five-year term. In laying out her priorities, Kraninger stated she would use cost-benefit analysis to measure the price tag of regulations to industries and continue to go after bad industry behavior. Senate Republicans who have expressed similar concerns to Mick Mulvaney about the agency and expressed support the nominee during the hearing proceedings. Questions from the panel’s Republican members largely focused on increasing transparency and accountability within the CFPB. Senate Democrats who back the consumer protection actions taken under the previous director, Richard Cordray, took issue with Kraninger’s lack of experience with the agency, consumer protection issues or the financial services sector. Previously, she served at the White House Office of Management and Budget and helped craft President Trump’s 2019 budget plan, which called for cutting the CFPB’s budget and restricting its enforcement oversight. Senator Donnelly (D-Ind.) sits on the panel and questioned Kraninger about student loan debt and the agency's recent decision to eliminate student loan office focused on loan abuses, which has returned $750 million in relief since its inception, and refocusing those responsibilities on "financial education." Donnelly stated that Hoosier students graduate with an average of $29,000 in debt and underlined the importance of that office. When asked her position on this action, Kraninger pointed to the fact the that CFPB still had an ombudsman for private student loans and she would be talking to that staff on student loan issues. Donnelly also asked if she agreed with Mick Mulvaney's previous comments in referring to the CFPB as a "joke" and she said she would not have used those words and would support Bureau's mission, "as passed by Congress." The full Senate is expected to vote soon on this nomination and Kraninger is expected to be confirmed as Republicans hold the majority of seats. 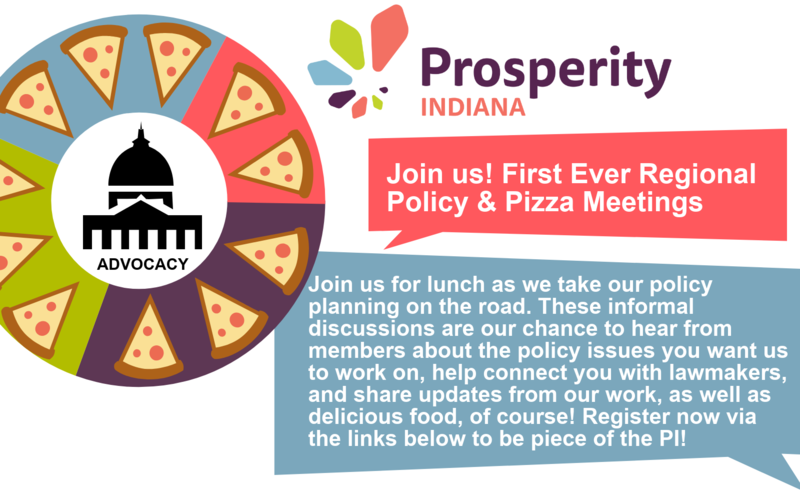 Join Us for Our First Ever Regional Policy and Pizza Lunches! Lafayette: Thursday, July 19, 11:30 - 12:45 EDT, click here to RSVP. Fort Wayne: Wednesday, August 1, 12:00 - 1:15 EDT, click here to RSVP. Indianapolis: Tuesday, August 7, 12:00 - 1:15 EDT, click here to RSVP. South Bend: Wednesday, August 22, 12:00 - 1:15 EDT, click here to RSVP. Evansville: Monday, August 27, 12:30 - 1:45 CDT, click here to RSVP.